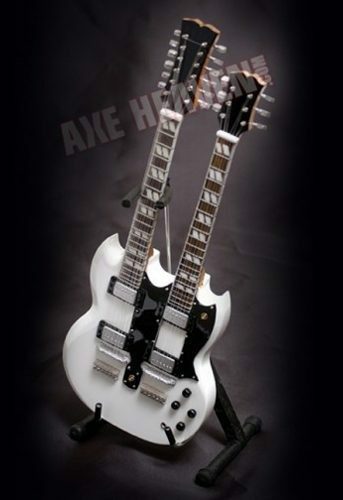 Replica of Don's famous double-neck guitar by Axe Heaven Miniature Guitars. This item is autographed by Don and comes with it's own box for safekeeping, and a stand to display Sorry, autographs cannot be personalized. 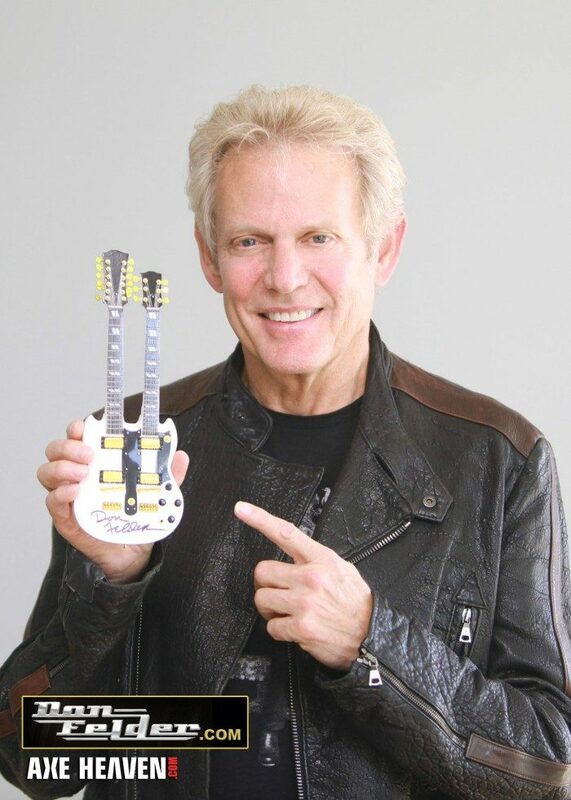 Note: The item will have the gold hardware, as shown in the photo of Don holding the guitar.